Hi-Time offers over 400 Tequila and Mezcal bottles to choose from. 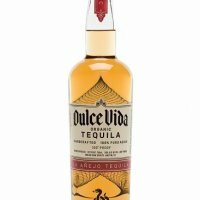 I stumbled upon this site while trying to find a lower price for tequila. Boy am I glad I did! I live in New York and liquor is highly regulated here. Prices are all state mandated. The prices here are FANTASTIC! The selection is huge! I have never been to the actual store, but if I ever find myself in that neck of the woods I will drop in. They can only ship to certain states, and some of the ones they can ship to are wine only. Do yourself a favor and check them out before your next purchase! This is by far the best place to buy spirits online! One caveat: you must live in one of the states they can ship to! Thankfully I do, as they are a good 30-40% cheaper than any local New York State liquor store, and any other web site I have found! Case in point: Cabo Uno- $129 Cheapest locally- $219, next cheapest web site I found: $149! Same goes for my every day poison- Cabo Wabo Reposado: $27.99! On sale here in NY it goes for $44! Buy in bulk and save on shipping! On one occasion when I had to call for assistance, they were very helpful and friendly! While I do not like to order online, when I am forced to my first choice is always Hi-Time. Their selection is amazing and they pride themselves on customer service. They ship stuff out very fast and in secure packaging. When you recieve your product you see where a lot of you shipping cost goes. One thing to keep in mind is that what is shown on their webpage is not always the same as what is in their store. 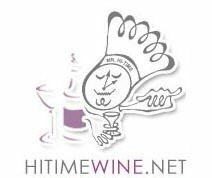 Hi-Time is getting better with this and is now putting online which bottles are special order only. As for the store itself, it is huge. The tequila shelf is about 6-7 feet tall and at least 20 feet long. Then they have a glass case with all the fancy bottles which is about 7-8 feet tall and 6 feet wide. That is not it either, then there are bottles that are on sale, gift packs, etc all throughout the store. The staff is very knowledgable about tequila as well. I have talked with staff numerous times. They will spend a lot of time with you going down the isles and telling you about different bottles and their opinions. You may ask where they get their knowledge. Well amongst other things, Hi-Time also puts on tastings. One of which is a huge tequila tasting (see their webpage for more info). I cannot say enough about this place. I would make a trip to Costa Mesa just to go there...and I usually do.